I had an absolutely fantastic time with Rob and his siblings and his sister’s son. It’s really cool when I get inquiries that aren’t for the standard family session of two parents plus kids, but instead get to shoot a large extended family, or in this case, a family with all the siblings together in one place, and of course a really cute little boy. Rob told me that the whole family was really into music, although they each had different taste, whether punk rock or metal or alternative. We headed out to the graffiti wall in Edmonton and got some great photos of the family. 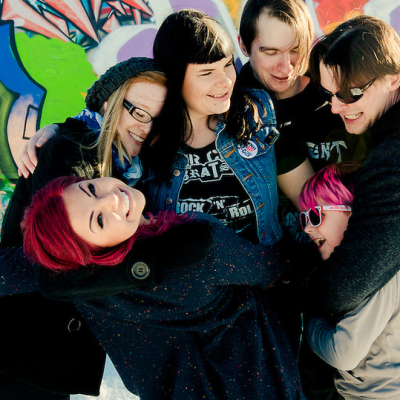 We did some proper band photos and capped everything off with a snowball fight. This was exactly the kind of session I love to do with exactly the kind of people I love to work with, and I’d love to do more creative family photos like this in the future.